Melissa McCue-McGrath CPDT-KA, is a professional science-based dog trainer outside of Boston, Massachusetts with over 800 cases under her belt. She noticed there were books for reactive dogs, aggressive dogs and every breed imaginable, but there were no resources for urban dog owners. After years of searching and secretly hoping someone else would write a handbook for city dogs, Melissa decided to take measures into her own hands. Melissa references real cases spanning over a decade of dog training in the city to inform students about the people they need in their corner, how to find reputable professionals, and how not to get scammed in a sea of people trying to make a buck. She delicately, but succinctly, dissects the biggest controversies in the dog world (like breeder vs. rescue) in a way that brings everyone to the table. She consulted with veterinarians, dog walkers, daycare owners, groomers, behaviorists, dog trainers, students and more to find out what they wish would be included. 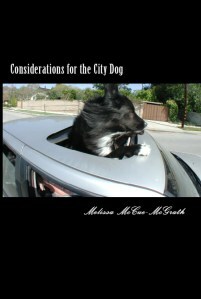 The final product, “Considerations for the City Dog,” is the only handbook for urban dogs currently available. 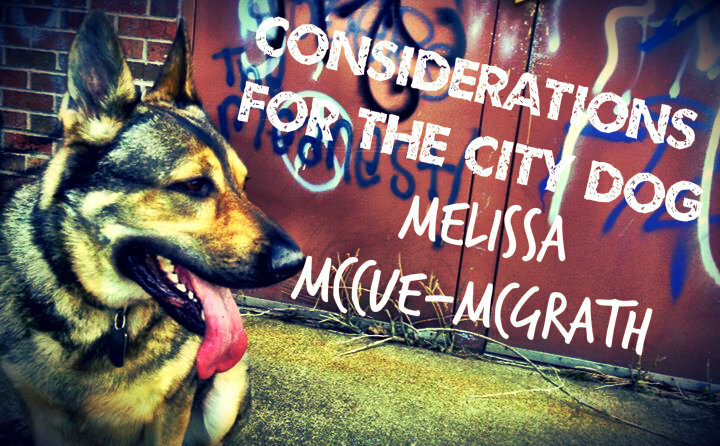 It would be a wonderful thing if we all could share the urban landscape with our pets, and Melissa’s take on living with city dogs is a great place to start.